A year ago I developed arthritis in my thumbs. I was devastated to lose my ability to open doors and the myriad of activities that require thumbs. I'm pretty young and healthy...so why is this happening to me? My doctor recommended taking joint supplements, icing, and getting thumb braces. After several months of this regimen, I still had pretty severe thumb pain. Coincidentally, I happened to mention my arthritis to a family member, and they put me in touch with Pamela, someone who had completely cured her Rheumatoid Arthritis (RA) through diet and natural lifestyle changes. I was stunned. Years earlier, a friend of mine who was diagnosed with Rheumatoid Arthritis was told by doctors that there was no cure. So I was cautiously optimistic. I contacted Pamela, and after many emails and phone calls, I started to understand how she cured herself. She attributed her complete remission to (1) taking a Functional Medicine approach, (2) healing her gut and (3) making key lifestyle changes. After hearing Pamela's story, I began to do my own research. I read Healing Arthritis and The Immune System Recovery Plan by Dr. Susan Blum. Pamela has an extensive background in medical research, and her credentials added credibility to the importance of gut health. I also remembered hearing a National Public Radio (NPR) story on Gut Bacteria Might Guide The Workings Of Our Minds. NPR's stories are usually based scientific research published in major peer-reviewed journals. So this area of research was starting to gain some credibility in my mind. The human body's key portal to the outside world is the mouth. This is where many of the germs and invaders enter our system. It makes sense that our immune system is primarily located through the pathway from our mouth to our small intestine (gut). When our immune system is compromised, toxins and inflammation can attack various parts of our bodies and brain. The intestinal wall is a barrier to the rest of the body. When that barrier is not working correctly, and the wrong things get into our bloodstream, this can cause illness. Autistic children and adults have been shown to have leaky guts where toxins cross the intestinal barrier and travel in the bloodstream to their brains. Food is critically important to physical and mental health. Food is medicine. The Standard American Diet (SAD) of processed foods is contributing to many of our chronic illnesses. 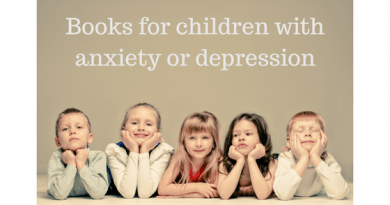 I went on to read Gut and Psychology Syndrome: Natural Treatment for Autism, Dyspraxia, A.D.D., Dyslexia, A.D.H.D., Depression, Schizophrenia by Dr. Natasha Campbell-McBride. Humm I wondered... if there is a connection between the gut and depression, is there also a connection to Anxiety? (Depression and anxiety often co-occur). 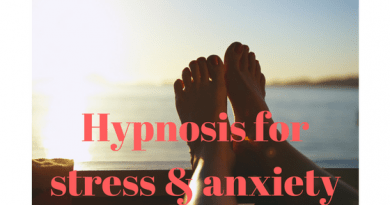 I personally have had panic attacks and public speaking phobia, and I've been interested in natural treatments for anxiety disorders. Oh by the way, my arthritis is 95% better since I made some easy diet and lifestyle changes. I expect it to completely go away soon. So now I'm digging into anxiety. Right now I don't have all the answers around the gut-anxiety connection, but I'll keep digging. And I'll share everything that I learn on my journey in this blog series. We'll "peel the onion" layer after layer and discover the answers. 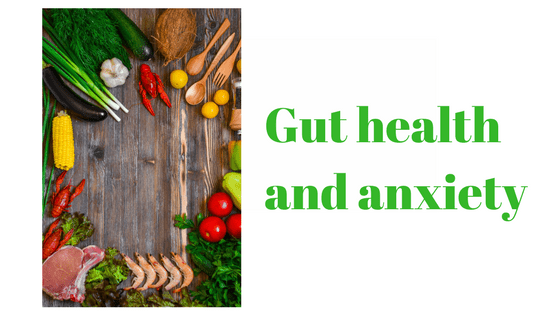 So to kick off our journey, here are several resources that appear credible so far on the topic of gut health and anxiety. I'll update this list as I find out more. Chris Kresser, M.S., L.Ac is an expert in Paleo nutrition, and functional and integrative medicine. Dr. Sandra Scheinbaum is a clinical psychologist. I just read her book about panic attacks and Functional Medicine. I recommend it for panic and for anxiety in general. She provides treatments and techniques based on functional medicine, cognitive-behavioral therapy (CBT) and positive psychology. Here are other random research studies. What resources on gut health and anxiety have you found helpful? Please add your thoughts in the comments below. ← Recognition in the workplace: Does everyone want a big to do?